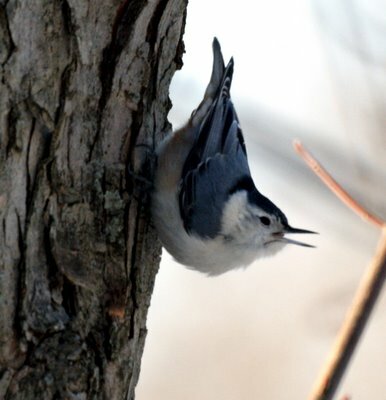 The Stokes Field Guide to Birds says this about the Nuthatch. 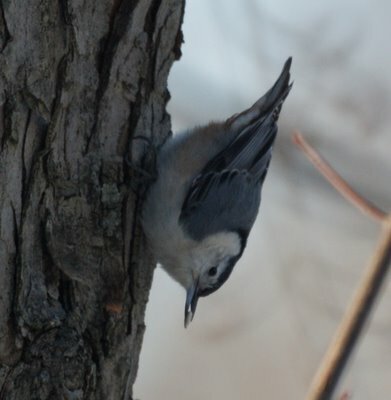 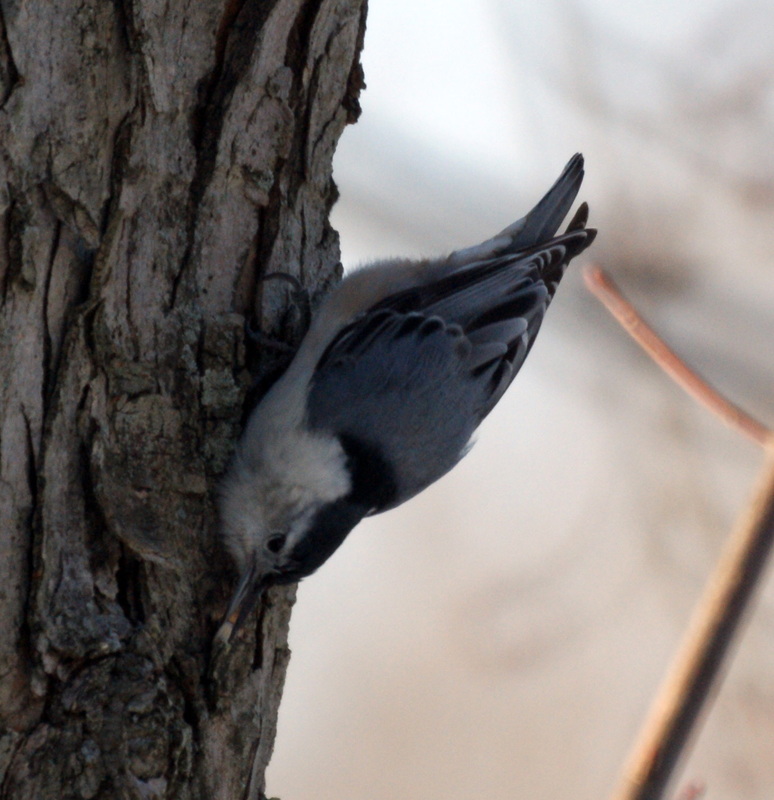 "Nuthatches are best known for their habit of storing food in bark crevices and their ability to move head first down trees enabling them to find food that "right-side up" birds like Woodpeckers might miss." That's exactly what we caught him doing in these pictures.